The Great Mouse Detective is an animated parody of Sherlock Holmes and has mice instead of people. Instead of Sherlock Holmes, we have Basil (nod to Basil Rathbone who played Sherlock Holmes in the movies) of 221 1/2 Baker Street with his helper Dawson instead of Watson. Basil plays a violin, is a scientist, etc. 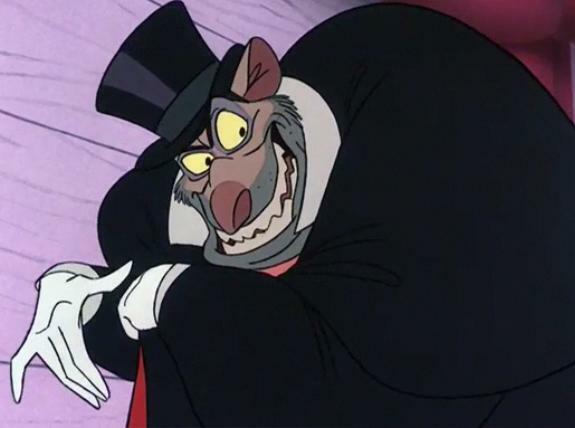 His arch-nemesis instead of being Professor Moriority is Ratigan. He is super creepy and pretty awesome for a villain. 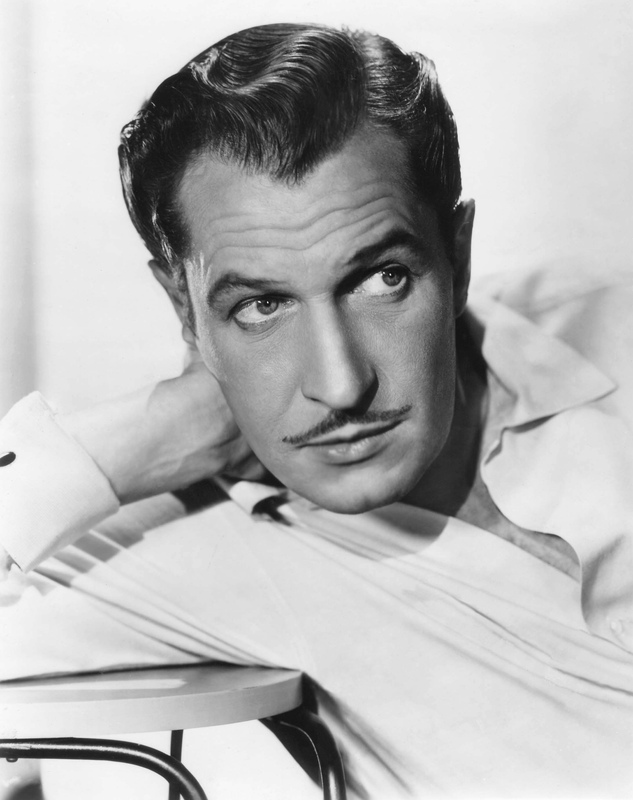 First of all, he is played by Vincent Price, one of the best horror actors/villains of all time! I love that man. In fact Vincent Price, said that doing Ratigan was his favorite role because he had two songs written for him. Both of which are AMAZING! The first song is The World’s Greatest Criminal Mind and Goodbye So Soon. They both show his strength, cunning, sadistic side, etc. My favorite song has to be The World’s Greatest Criminal Mind. Now when I say he’s sadistic, he is one crazy dude. He doesn’t like being referrred to as a rat, he wants to be a mouse, and if anyone fails to call him that he sics his killer cat Felicia on them. While he is an elegant criminal, beneath that cool and charming exterior is fearal beast. But he’s just one of those criminals that you love to hate and while hate, can help but sort of admire his style. 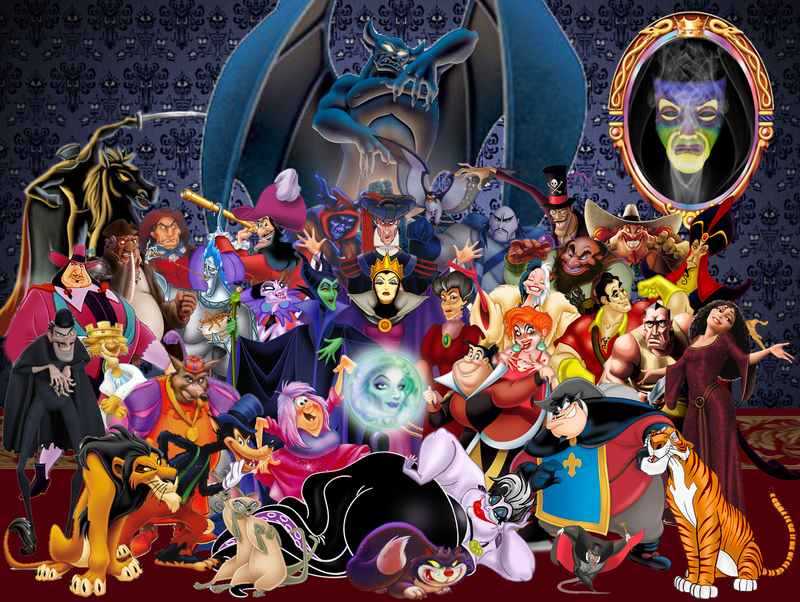 This entry was posted in 30 Day Challenge, Disney, Musical Stylings of Me and tagged Arch-Nemesis, Basil, Basil of Baker Street, Basil Rathbone, Creepy, Cunning, Dawson, Disney Animated Film, Disney Villain, Disney Villain Song, Feral Beast, Film based on a book, Goodbye So Soon, Horror, Horror Film, Killer Cat, Mice, Mouse, Professor Moriarty, Rat, Ratigan, Sadist, scientist, Sherlock Holmes, Strength, Supervillian, The Great Mouse Detective, The Wold's Greatest Criminal Mind, Vincent Price, Violin, Watson.